Google Street View can transport aspiring explorers to a number of amazing places, from the White House to the Colosseum. Now, Google has captured one more picturesque destination: the largest model railway in the world. 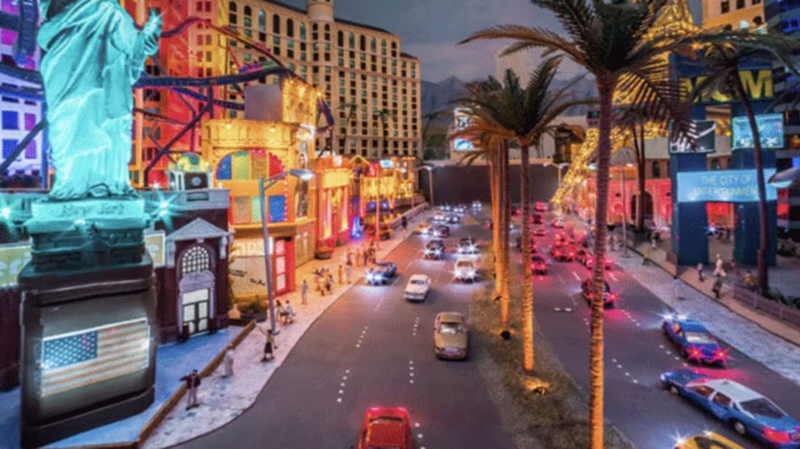 Hamburg’s Miniatur Wunderland features about 8078 miles of track as well as a fictional town modeled after the original Hamburg in Germany, complete with tiny concerts, sporting events, and Oktoberfest celebrations. The exhibition also features sections—like the Grand Canyon, Mount Rushmore, and the Vegas strip—that will likely look familiar to anyone from the U.S.
To capture this world from a scaled-down point of view, Google teamed up with Ubilabs to build a series of tiny Street View vehicles outfitted with small cameras. The pint-sized devices were then rolled throughout the model's intricate streets and railways in order to capture a one-of-kind perspective of the masterpiece. You can explore the scenes online just like you would with regular Street View on Google’s web page. Check out some of the highlights below.